Cycle Pub The Bend Ale Trail! Bend is known for great cycling and incredible beer. 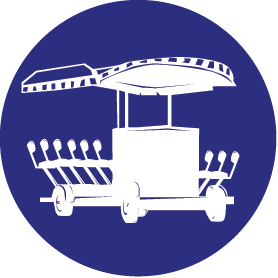 Cycle Pub gives you an opportunity to enjoy both passions and an experience that you will never forget. 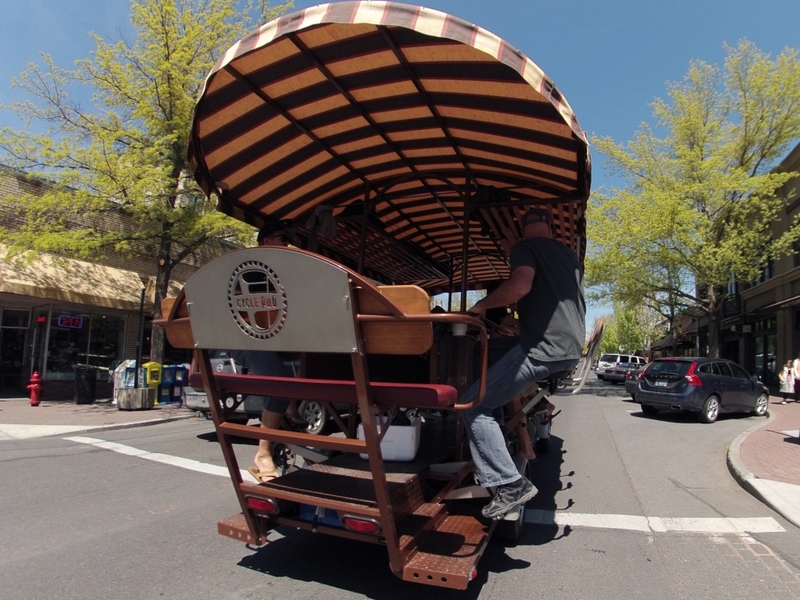 It’s a nontraditional bike, where you sit and pedal and enjoy nontraditional features and beverages. Our best description, it’s a rolling pub on wheels, that you pedal! 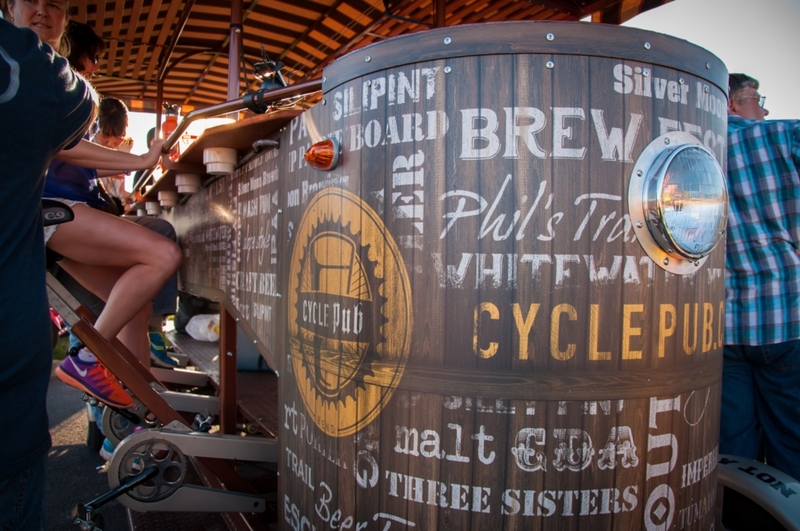 With stylish good looks, and a true pub-like feel, both the big Cycle Pub and the smaller Cycle ‘Round are a great way to tour the Bend Ale Trail, and experience world class craft beer up close and personal. 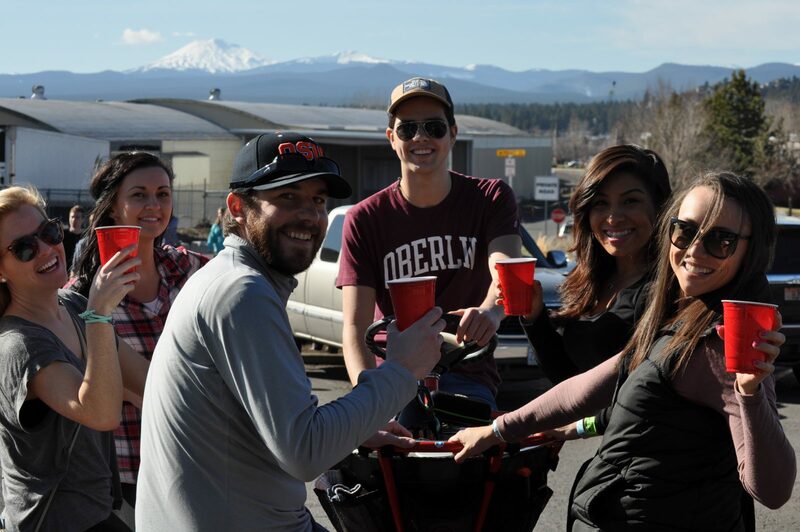 Cheers to all the great Bend craft beers and breweries … And cheers to Bend’s original pedal pub experience! A Cycle Pub original built in Bend with stylish good looks and a true pub-like feel, our Big Bike offers a truly memorable tour along the Bend Ale Trail. Enjoy world class craft beers in motion and experience Bend's bustle up close and personal while on the fly. There are 10 pedal seats, 2 passive bike seats, and a rumble bench for 2 on the back! A 6 seat work of art! Quick, nimble and a pleasure to pedal, our Small Bike is a fantastic way to see and experience Bend. Smaller and more intimate than our Big Bike and a perfect fit for smaller groups of 4 to 6 guests.